What is striking in the photos is the preponderance of high wattage smiles on peoples’ faces. People sharing, playing, working, partying and living – together. Loneliness is not a social ill people endemic to this part of the world. The shots capture village chiefs in consultations with their elders, groups of young men at work in their oil palm stands, family members ecstatically greeting each other – falling into each others’ arms – after long absences, groups of women weeding rice fields or parboiling rice or chopping green leaves for the wonderful sauces known as plassas, entire communities processing rich, red palm oil, groups of teenage girls selling hot peppers or peanuts, lean and exuberant footballers chasing after balls in the waves breaking on Freetown’s magnificent Lumley Beach. 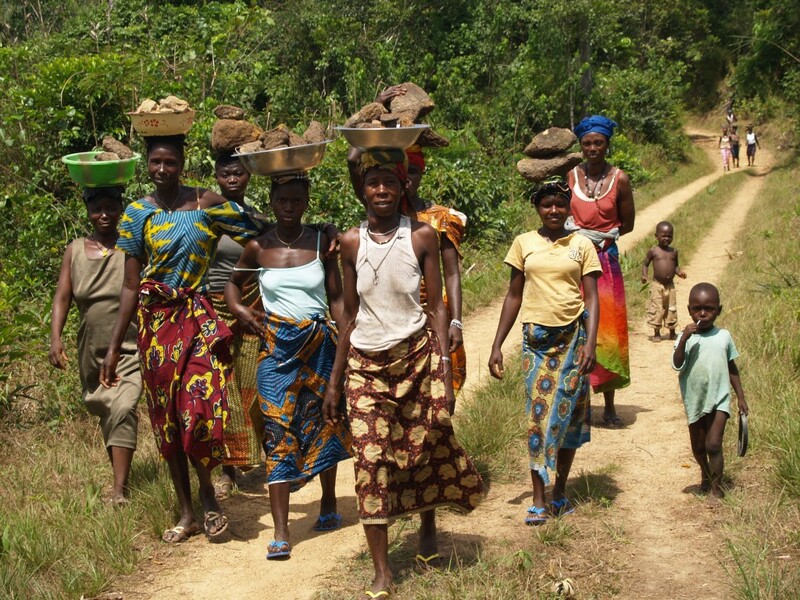 Sierra Leone may be one of the most photo-friendly nations on earth. 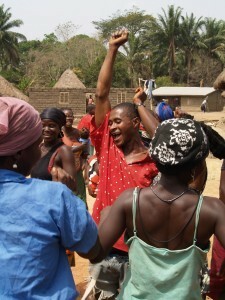 No, let me amend that: Sierra Leone may be one of the most friendly and welcoming nations on earth. It certainly ranks at the top – along with some other African nations – of the welcoming scale of all the lands that I know. And this, all things considered, is truly remarkable. 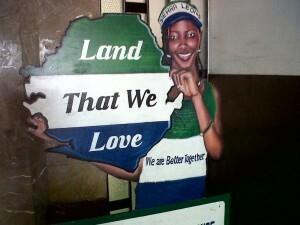 It can’t be said that Sierra Leoneans have had an easy go of it since their nation was born in 1961. After a couple of years of democracy under Prime Minister Milton Margai, the country began a slow slide towards instability, corruption, military coups and despotism. This eventually culminated in a civil war that began in 1991, when rebels marched into Kailahun District from neighbouring Liberia. The ten years of fighting took a heavy toll. An estimated 100,000 had been killed, half the country’s population had been internally displaced, and the country’s infrastructure was in ruins. Peace was finally restored in 2002 and the country set out on the path of healing itself. Nor can it be said that all the visitors that Sierra Leoneans welcomed with open arms over the decades were particularly deserving of that welcome. Many were of a swashbuckling breed that have a particular fondness for fragile, post-conflict countries like Sierra Leone, where laws are flexible, politicians particularly malleable, and where diamonds, gold, murky business opportunities — and young women desperate for income — abound. And yet, for all this, Sierra Leoneans have pulled through. They’ve coped with the hardship and with the curse of the diamonds that fuelled so much corruption and the long conflict in their country. They’ve dealt with the trauma and the amputated hopes of a great destiny for a small country, where one of continent’s first universities was established in 1827 in Freetown, a city of learning once described as the Athens of Africa. Sierra Leone’s resilience, according to young couples who spoke to me about their wartime experiences, their long years in the bush fleeing rebel forces or government soldiers, came from their solidarity and their resourcefulness. They survived because they shared the wild foods such as bushmeat and yams they harvested in the forests. Even as they sought refuge from the violence, crossing borders into Guinea and Liberia, communities tended to stick together. And when they pitched up in shantytowns in large cities as veritable refugees in their own country, they found each other. I saw one small one-room tin shack – a “pan-bodi” house – on the outskirts of Freetown that was home to 30 people from the same village. And any meagre income they could earn — in petty trading, hair-dressing, construction, sand mining, cracking stones with hammers to make gravel — they would share with the family and community. Eating in Sierra Leone is never a solitary act, just as it isn’t across the continent. African proverbs make much of the importance of sharing. Traditional wisdom in Cameroon cautions that, “He who eats alone, dies alone.” Sharing is not even limited to the living; before traditional ceremonies, libations are poured onto the ground, shared with the ancestors. This solidarity — of extended families, clans, ethnic groups, and even with strangers in need —is one of Sierra Leone’s, and indeed Africa’s — most remarkable and laudable traditions. It’s also a main reason that people on the continent have managed to survive so much of what they have been subjected to through the oppression of the colonial period, and since then, through neo-colonial meddling in their political, social and economic affairs. And that is why this Ebola crisis, and the tragic stories and heart-wrenching images from Liberia, Guinea and Sierra Leone are so alarming, so different from stories and images of suffering that have gone before. The photos show family members in anguish, being restrained by others, as they reach out with a desperate need to touch and try to comfort their ailing children, sisters, mothers, brothers, fathers – or worse, their corpses. The stories recount the terrified cries of small children, separated from their parents inside Ebola centres, where their terror cannot be hugged away; health workers who long to try cannot when they are obliged to protect themselves behind layers of protective clothing. The powerful social glue that bound people together, that made life not just bearable but also rich and enjoyable for some of the monetarily poorest people on earth, is being dissolved – the shared meals, the hugs and handshakes, the familiar camaraderie and easy humour, the sense of community and the security it brings, the importance of the group rather than the individual, the importance of solidarity rather than self. All this is being yanked away and replaced by fear, loneliness, pain, and in so many cases, final hours spent in desperate isolation in an Ebola centre or in a forest or on a roadside. If, when this Ebola nightmare ends, I do so hope that the people in the afflicted countries rediscover and resurrect the powerful social tools – the solidarity and sharing – that have bound them together and that have, until now, been their salvation. And a secret the outside world has largely failed to acknowledge.